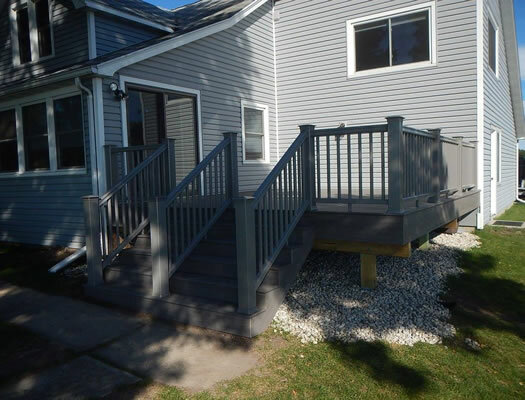 Voted The Best Home Improvement & Remodeling Contractor Serving Dodge County, Winnebago County, And Outagamie County Wisconsin. 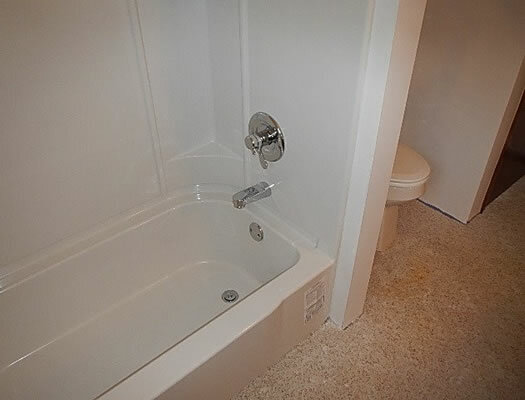 We remodel kitchens, bathrooms, and basements. 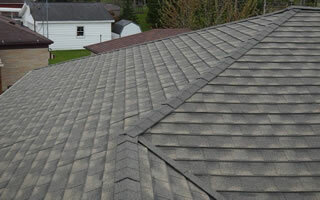 We also offer siding, windows, and roofing services. 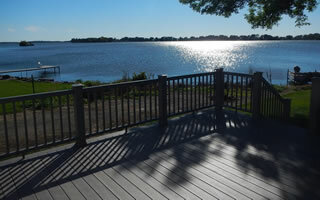 We design and build custom wood or composite decks. 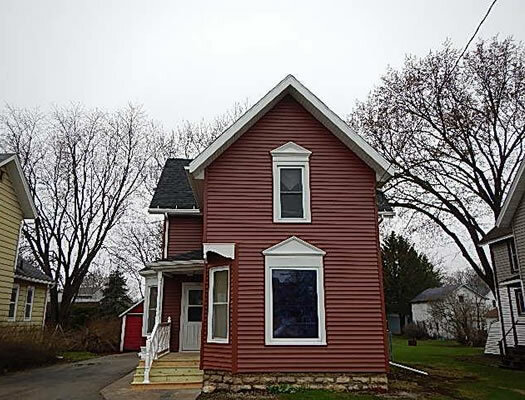 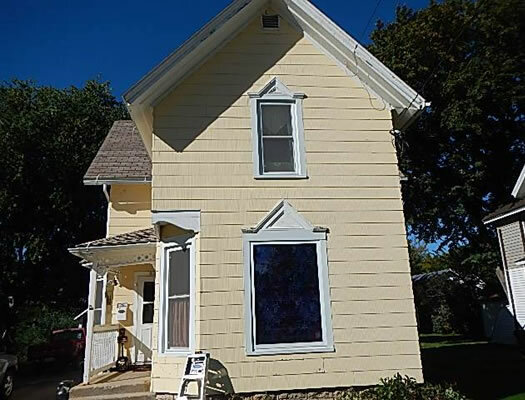 Construction, Roofing, Home Improvement & Remodeling in Dodge County, Winnebago County, And Outagamie County Wisconsin. 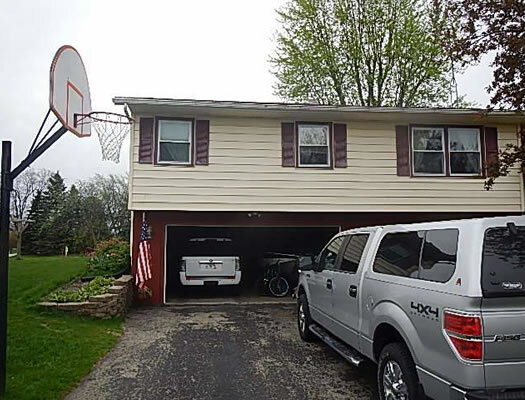 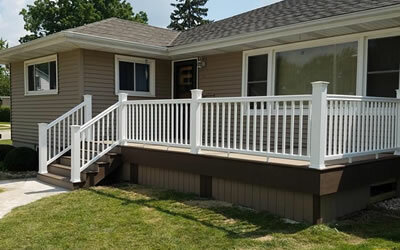 Brad's Construction is a local construction and remodeling contractor based out of Mayville, Wisconsin and Menasha Wisconsin. 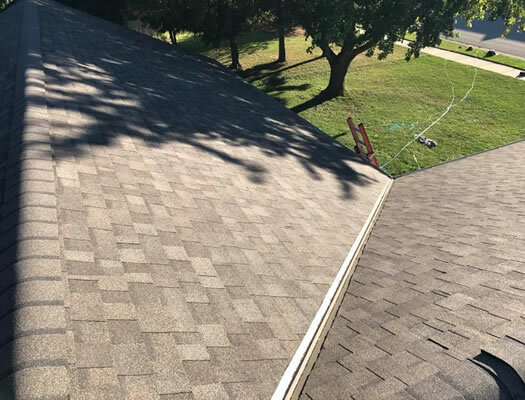 We specialize in all aspects of home improvement and remodeling from replacing your roof to building on an a new addition or finishing your basement. 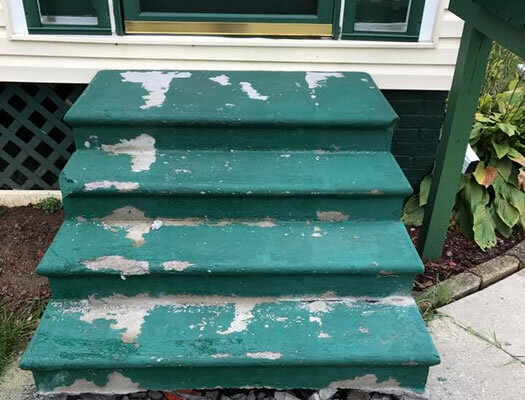 We strive for 100% customer satisfaction on every project as evident from our growing amount of glowing reviews which we've earned one customer at a time. 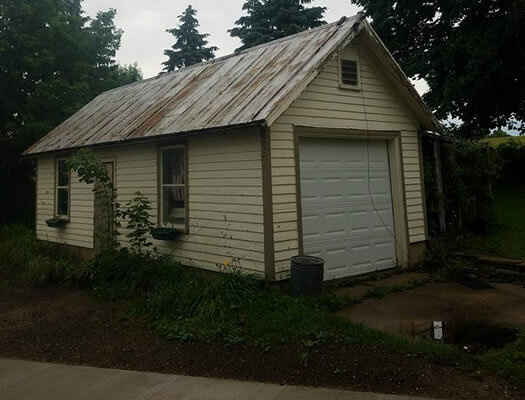 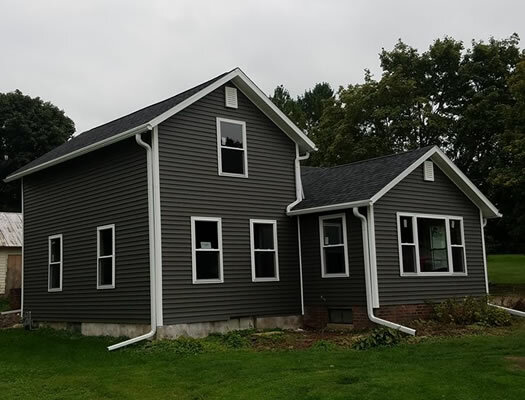 If you'd like to receive an estimate from Brad's Construction to work on or remodel your home or building please give us a call 920-763-5779 or fill out a form today to schedule an estimate. 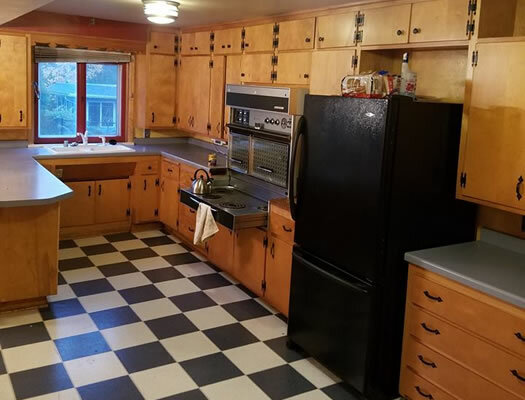 We can transform your dull, boring, or old kitchen, into a more modern, luxurious, and enjoyable space for your family to enjoy or for entertaining fiends and guests. 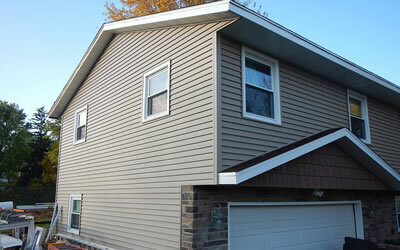 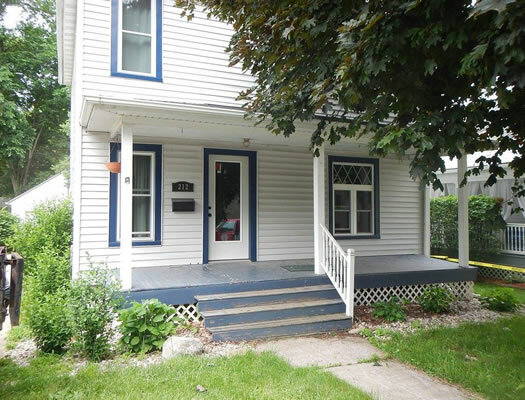 We specialize in replacing both vinyl and fiber cement siding. 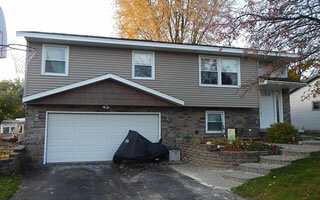 We can give your home a totally new exterior look and improve your homes value and curb appeal. 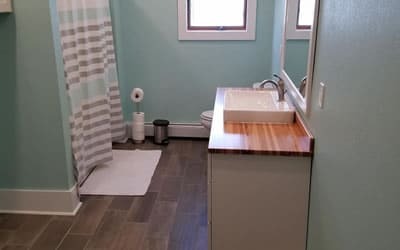 Get that luxurious, spa-like bathroom experienced you've always wanted. 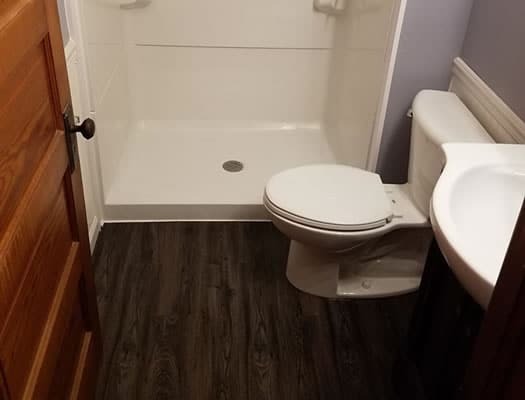 We can remodel your bathroom into a space you'll never want to leave. 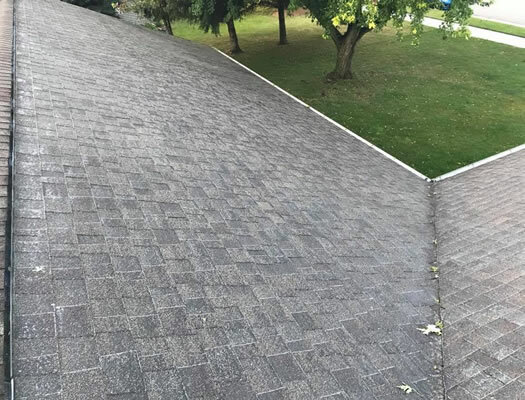 We offer roof repair and roof replacement services including asphalt shingle roofing and laminated shingle roofing from the leading shingle manufacturers. 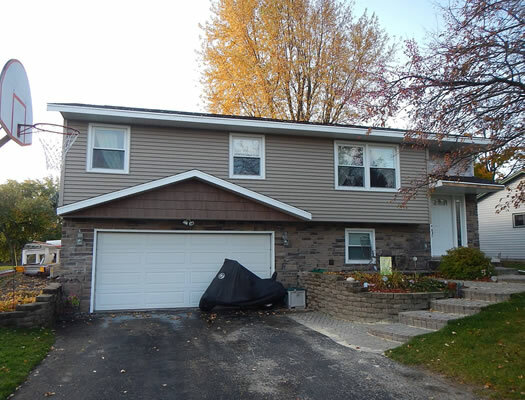 Egress windows are necessary if you'd like your basement to meet the building code requirements to be suitable as a living space or a suite. 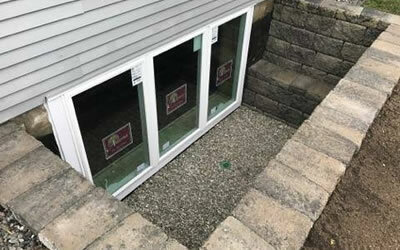 We install egress windows. 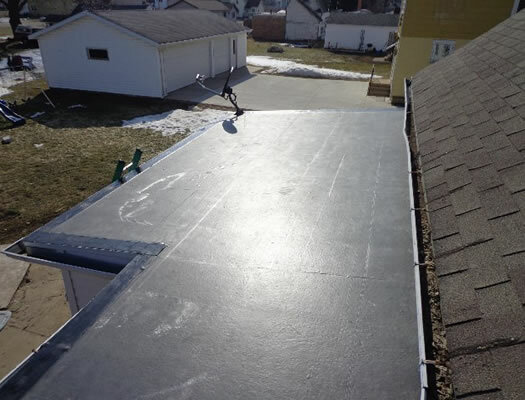 Looking for the most durable and long-lasting roofing solution? 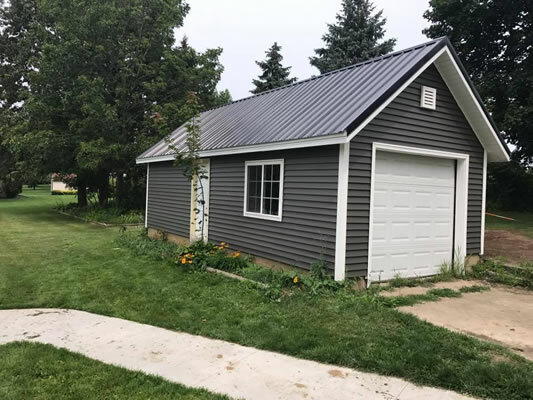 For a roof that lasts a lifetime we can install a new metal roof on your home, garage, or buildings. 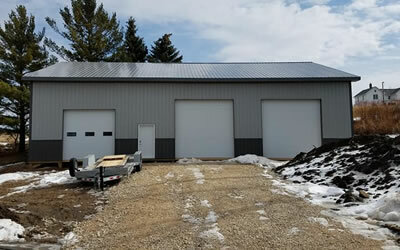 Need more space to park your vehicles such as boats, motorcycles, or collector cars? 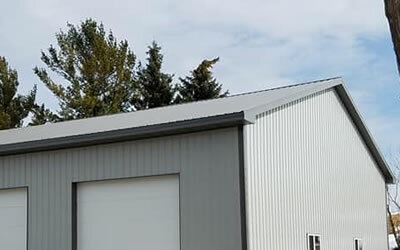 We specialize in building detached or attached garages and shops. 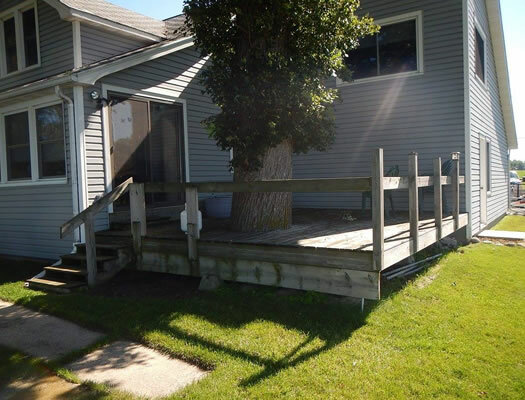 We build custom decks out of wood or composite material. 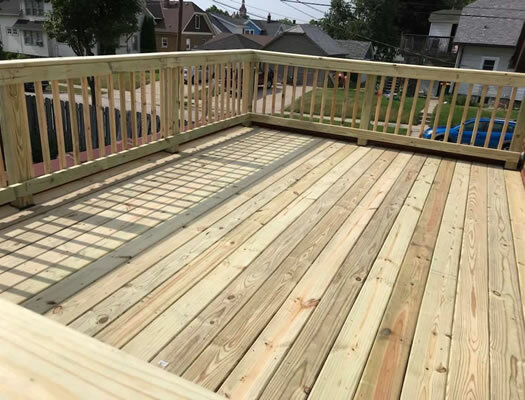 We can rebuild an existing deck or build something brand new to take advantage of your specific property. 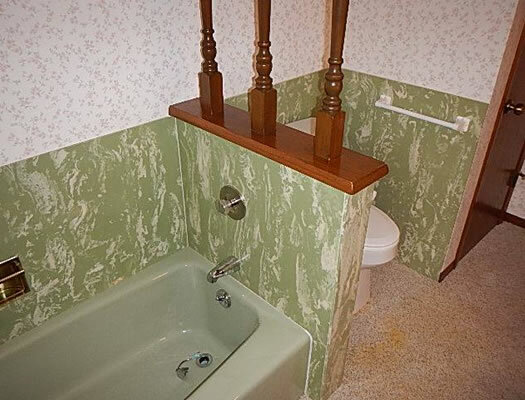 Brad’s Construction Specializes in A Variety Of Remodeling and Home Improvement Projects. 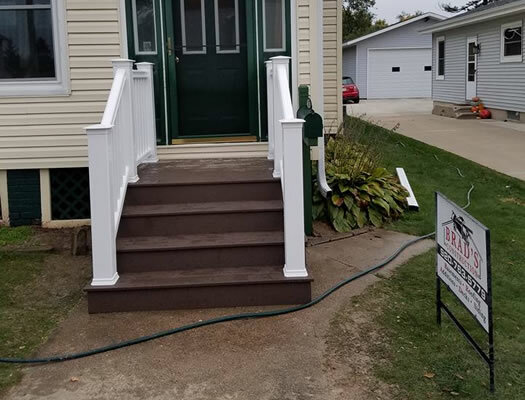 Brad’s Construction is a local general contractor baed out of Mayville that specializes in residential remodeling and construciton projects. 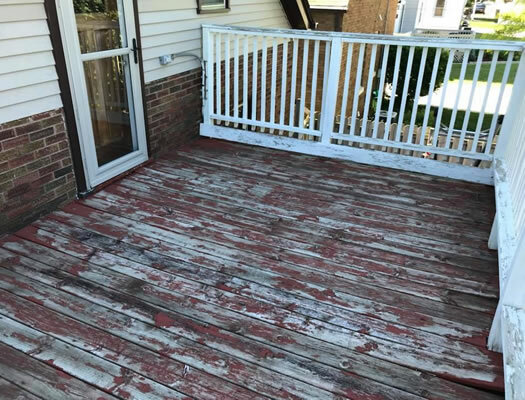 From gutting and renovating an older home, to installing a brand new asphalt shingle roof, building a beautiful new deck, or transforming your kitchen. 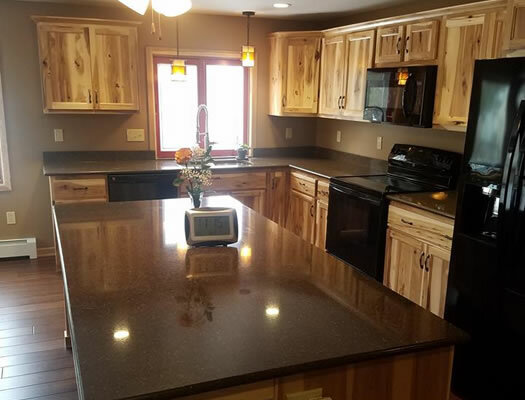 Our team of craftsman will be able to help you turn your ideas into rock solid, finished construction for you and your family to enjoy. 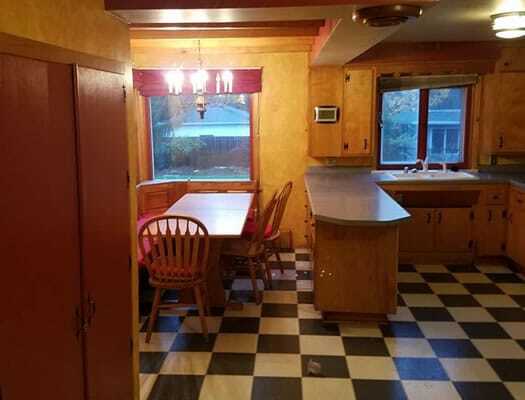 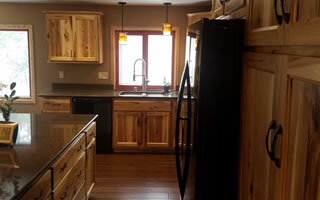 If you’d like to receive an estimate for your next interior home remodeling project call 920-763-5779 or fill out our contact form and someone will get back to you shortly. 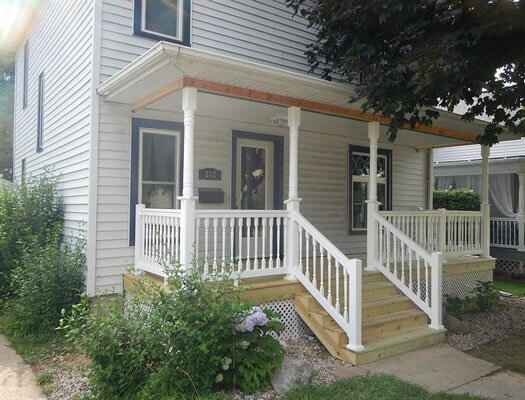 Brad's Construction is consistently one of the best rated home improvement and remodeling companies in Dodge County. 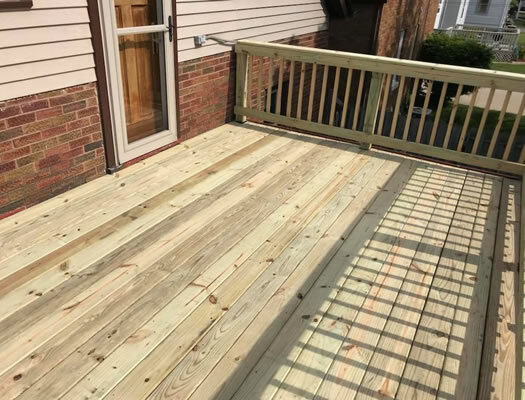 We've earned this status because we listen to our customers, we are clear and concise communicators, we offer clear and fair pricing on our estimates, and we complete all of our projects to the highest standard of craftsmanship. 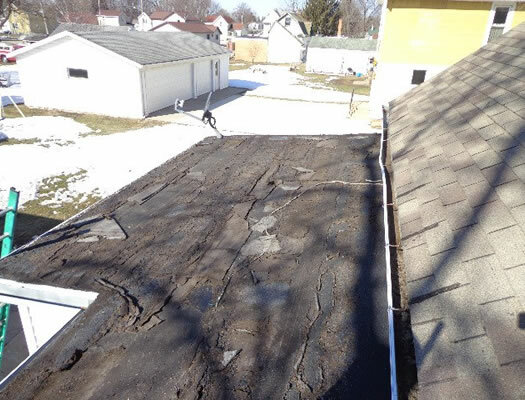 We earn many recommendations and referrals from our existing clients and we work very hard to keep it that way! 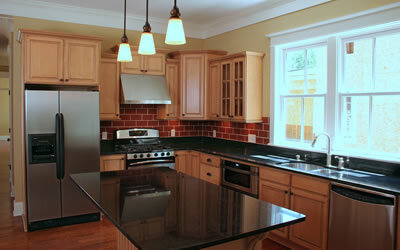 We are certified installers for many of the products we sell and recommend. 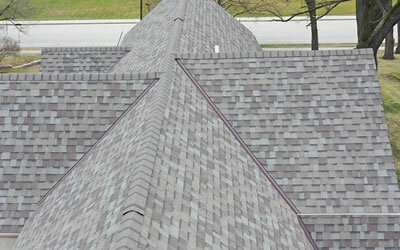 We offer very clear pricing and we're always right in line with our local competition. 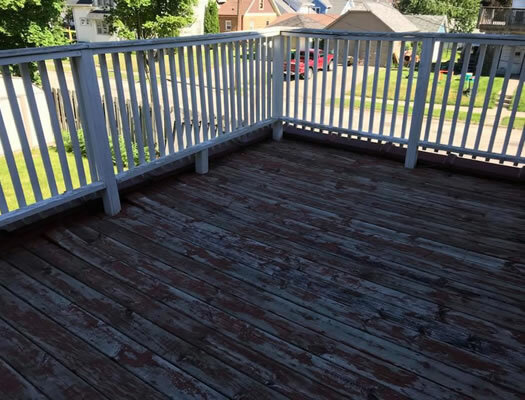 We offer varying workmanship warranties based on the type of project we're doing. 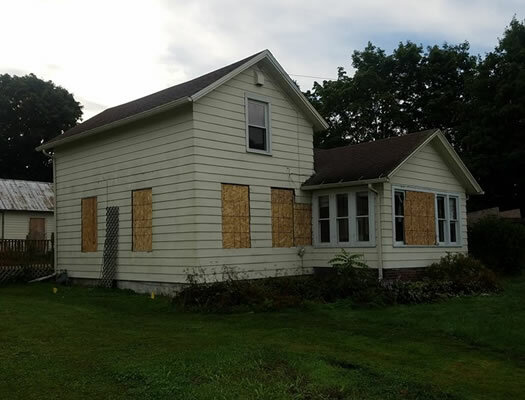 We are extremely careful while on your property and take extra precautions to protect it. 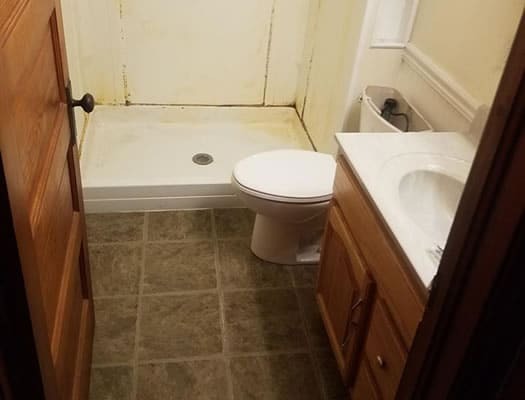 You'll never know we were even on your property aside from your new home improvements. 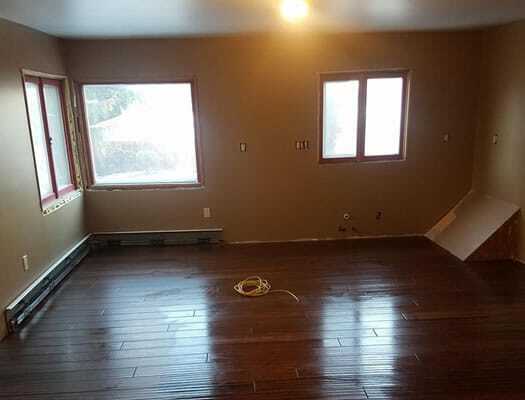 We make sure all of your questions are answered and you're up-to-date on progress.